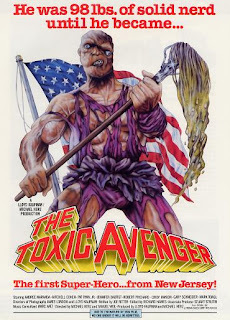 Everything I Know About Business I Learned From THE TOXIC AVENGER! In truth, an independent movie production is like a start-up on steroids. You go from screenplay (business plan) to product completion (launch) in a matter of months. You have to hire, fire, build, tear down, raise money, spend money, rally the troops, fight deadlines and external forces, and make constant compromises all the while fighting to stay the course and make the best film (i.e. product) you can. I recently attended a great event for bloggers and online influencers sponsored by Ford (who paid for my trip to Detroit) in connection with the North American International Auto Show (NAIAS). During a dinner event the Ford team organized an evening of Ignite Talks. If you are not familiar with Ignite, it is a great format for short, thought provoking and inspiring presentations. The presenter has 5 minutes and 20 slides, and the slides advance every 15 seconds, no matter what the presenter is saying. While I do quite a bit of public speaking, I've never given an Ignite talk... until now. Here is a video of my Ford Ignite presentation, called "Everything I Know About Business I Learned From The Toxic Avenger." Please let me know what you think in the comments!